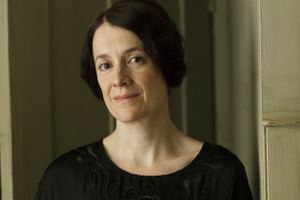 Phyllis Baxter is Cora Crawley's lady's maid at Downton Abbey. Baxter seems to have some sort of history with Thomas Barrow, he having suggested her for the role. He also seems to have some sort of hold over her and gets Baxter to relay to him the goings on of the house. She also thinks Molesley lucky that he grew up in a village where everyone knows and respects him, suggesting that she may not have experienced those things herself. She also mentions having once lived in London, but that it did not work out for her. Lady Grantham hired Miss Baxter as her lady's maid on Thomas Barrow's recommendation and after both her previous lady's maids left. When Bates asks his wife Anna what she thinks of her, she says she thinks Baxter is nice. Cora herself is pleased with her as a lady's maid. She remarks that Baxter reminded her of her past when she brought her orange juice with her breakfast. She also later says to her husband that Baxter is coming along splendidly. Baxter brings with her fo Downton a sewing machine, of which Mrs Patmore is at first suspicious, until it is used to repair an apron just in time for when Lady Grantham would be coming downstairs. Baxter turns out to share a history with Thomas, who uses a secret from her past to manipulate her. What her secret is remains unknown. She is however uncomfortable with spying for Thomas on the family and on Anna to find out what is wrong with her marriage. Barrow advises her to not make enemies downstairs, citing it as O'Brien's mistake. Baxter becomes closer to Joseph Molesley when Thomas is away in America as valet to Robert, and when Thomas returns, Molesley defends her against him, saying that "we'll have no bullying here." She also surprises him by saying he was lucky to live in a village where people know and respect him, suggesting she did not have that experience. Barrow still has hold over her in 1923, but Molesley approaches her at Grantham House while the Prince of Wales is dancing. He insists to her that he doesn't know what's in her past and doesn't wish to, but she cannot let Barrow bully her or pull her into his schemes. She feels that is easier said than done, but he insists that it is sometimes better to take a risk than do the wrong thing. She becomes encouraged not to be afraid of her past and what it includes, telling Molesley, when they and the other servants are at the seaside, that his strength has made her strong--much to his amazement. Baxter's secret has been revealed: she stole jewelery from her former mistress, which included two diamond bracelets, a diamond necklace with a ruby clasp and four rings, and pretended that a burglary had taken place. Her pennance for this crime was serving three years in prison. Thomas got her this job after her prison sentence, and keeps tabs on her and has threatened to tell Lady Grantham (Cora) her secret. With some urging from Molesley, who has not yet known about Baxter's past, Baxter tells Cora about her past before Thomas does. Cora is confused but shocked that she employed a jewel thief to look after her jewels and states that it does not make any sense. Cora does not know whether to let Baxter stay or fire her as she still feels that there is more to Baxter's story than she has shared. Even when Molesley is told about Baxter's past, he feels that she must have had a specific reason for her jewelry theft, like if someone she cared about was in trouble or something. She is the third of Cora's maids who has some kind of relationship with Thomas. She likes milk but no sugar in her coffee.